Washington and Thomas Jefferson, roughly 1793 to 1814.
a week of the auction.The auctioneers were as surprised as the collection owner at the prices the coins were bringing. 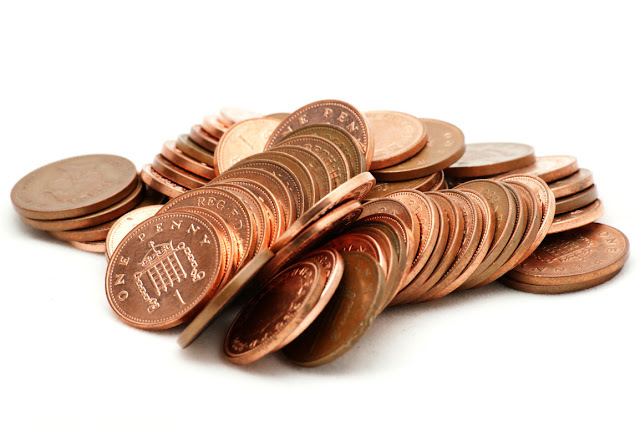 Two 18th century pennies broke the record for the highest price received for a rare penny. A sweet price at $632,500. Hopefully the new owner feels like he got his 2 cents worth. hundreds more placing their bids over the phone and on the internet. The collection owner guesses he had spent a little over $5 million on the pennies, so that was a nice return on his investment.